Banana Shire lies within the extensive Dawson River Catchment with a number of populated towns located on the Dawson River, Dee River and tributaries. 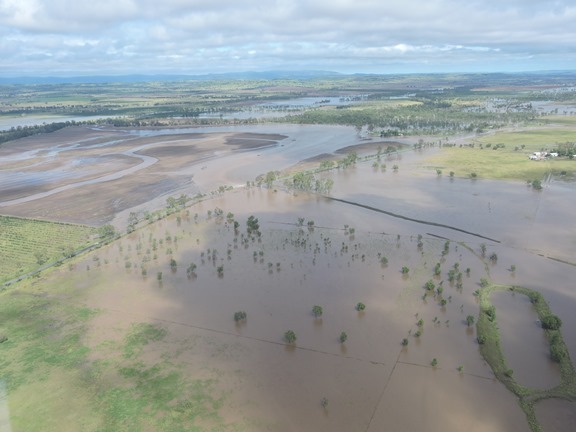 During widespread rainfall and severe storms this region experiences significant flooding as witnessed during December 2010/January 2011 flood, 2013 ex-Tropical Cyclone Oswald and in 2015 by Tropical Cyclone Marcia. The Banana Shire Flood Study has been underway since November 2015 and Council has sought community input to assist with this important project. Council is committed to understanding the impact of flooding on people, property and industry, and how existing and future flood risks can be managed through improved warning and protection measures. Stage Three (July 2016) – presentation of proposed areas of investigation to protect residents from the impacts of flooding is now complete. Stage Four (September 2016) – submission of Floodplain Management Plan. Stage Four has recently been completed. The Floodplain Management Plan (FPMP) recommends and prioritises a series of actions to reduce the adverse impacts of flooding and to extend flood warning and evacuation time. For the purposes of floodplain management in the Banana Shire Council area the FPMP recommends a range of land use planning, development control, community awareness, community consultation, disaster planning and preparation activities, liaison with other levels and agencies of government, and a series of structural measures intended to change the way flood water behaves. Arriving at a final accepted plan is an iterative process and will require input from Banana Shire Council at a technical and operational works level, from councillors and political advisors, from key stakeholders, and importantly from the communities within the Banana Shire. The Banana Shire Floodplain Managment Plan and associated documents are open for public comment prior to final approval. Community feedback and local knowledge play an important role in building an accurate flood model of the catchment area and Council recognises how important community contributions are to the Study. Stage One of the Banana Shire Flood Study was completed in December 2015 following consultation sessions in Jambin, Biloela, Theodore and Taroom. Questionaires, feedback and images were used to inform the Flood Study and future management plans. In Stage Three of the Banana shire Flood Study is now complete following consultation sessions in Jambin, Biloela and Theodore. Survey responses and feedback will be used to inform structural mitigation options testing and future stages of the study. In Stage Three, proposed areas of investigation to protect residents from the impacts of flooding for specific towns in the Study were presented to the community for review and comment at consultation sessions in Jambin, Biloela and Theodore. Community feedback is a vital tool when analysing the viability and likely acceptance of proposed options. Survey responses feedback and information received will be used to generate further flood modelling, and test potential mitigation options for each town. Thank you to those who participted in the community consultation sessions and provided their valuable feedback. The results from these simulations and models will be provided to Council for review and comment. For more information on the proposed areas of investigation for each town please click on the links below. For more information on the Banana Shire Flood Study, please contact Council.